Arnott, the aftermarket air suspension manufacturing company, explains how these parts are manufactured. 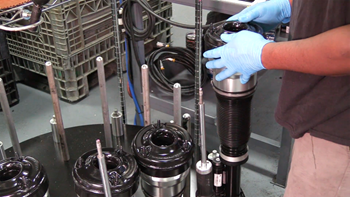 Arnott, the manufacturer of replacement aftermarket air suspension products and accessories, has explained how an air suspension strut is remanufactured and how it can benefit technicians. Air suspension struts feature inflatable rubber air springs instead of traditional coiled steel springs to improve the vehicle’s ride, according to Arnott. They believe an air suspension system provides owners with superior ride quality and comfort, and adjustable load-levelling capabilities for technicians. Like all rubber components, air springs and struts are wear and tear parts. Typically, the rubber will dry rot and small cracks can form where the air bladder rolls upon itself. On average, an air suspension part will need to be replaced in six to 10 years. Mileage, climate, driving conditions and road quality will also influence the replacement rate. 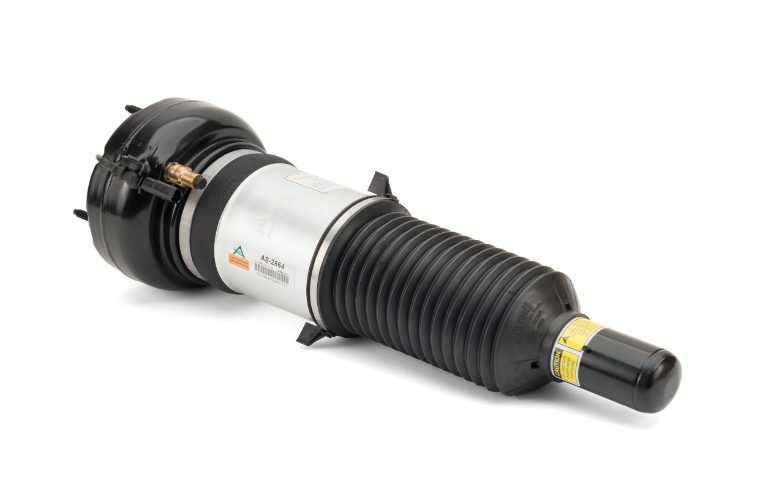 For 30 years now, Arnott says it has remanufactured original equipment (OE) air suspension struts to provide an affordable replacement option that supports the auto-levelling and active damping functionality of the OE shock, and has the exact fit and functionality of OE. Each Arnott part is engineered to improve strut longevity while providing a plug and play installation. Arnott’s remanufactured suspension part cores are also kept out of landfills, due to the company’s manufacturing process. Arnott has processed millions of OE cores, identifying their most common failure points and has sought to engineer improvements upon them while maintaining auto-levelling and active damping. How is an air suspension strut remanufactured? – First, each used strut is inspected, disassembled, steam cleaned, and spin-blasted to bare metal which removes paint, dirt, corrosion, and years of road grime. 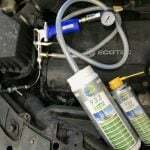 – After the shock is spin-blasted to bare metal, Arnott technicians recharge many of the OE shocks using a proprietary process where worn shock oil is replaced with new high-performance shock oil. – In the next phase, worn internal shock components such as the piston, rod guides and seal pack are replaced. 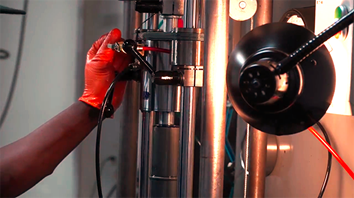 – After the shock is recharged and sealed, each shock is computer dyno tested to ensure OE durability and performance. – Shocks that do not pass Arnott’s quality standards are sent, along with other worn parts, to a metal recycler. 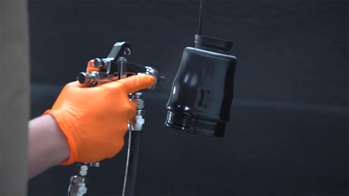 – After the struts have had an extensive quality check and are approved, every remanufactured strut is repainted with corrosion-inhibiting paint for a professional finish. 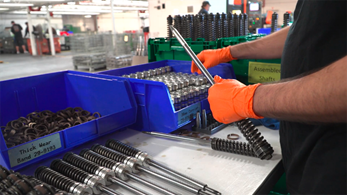 – Assemblers rebuild each strut by hand with new OE-quality components including longer-lasting seals, a multi-ply air bladder, heavy-duty crimping rings, and other tier one components. – The Arnott remanufactured strut is quality inspected throughout the build, including a specialised air pressure test to ensure there are no leaks in the air bladder. – After successfully passing inspection – the strut is carefully boxed in heavy duty cardboard using custom-designed protective packing material. Any required accessories, special instructions and installation information is added, the box is sealed, labeled, and coded for further quality control. Find out more about Arnott and its aftermarket air suspension solutions by clicking ‘more details’ below. This topic contains 0 replies, has 1 voice, and was last updated by Mark Hughes 4 weeks, 1 day ago.